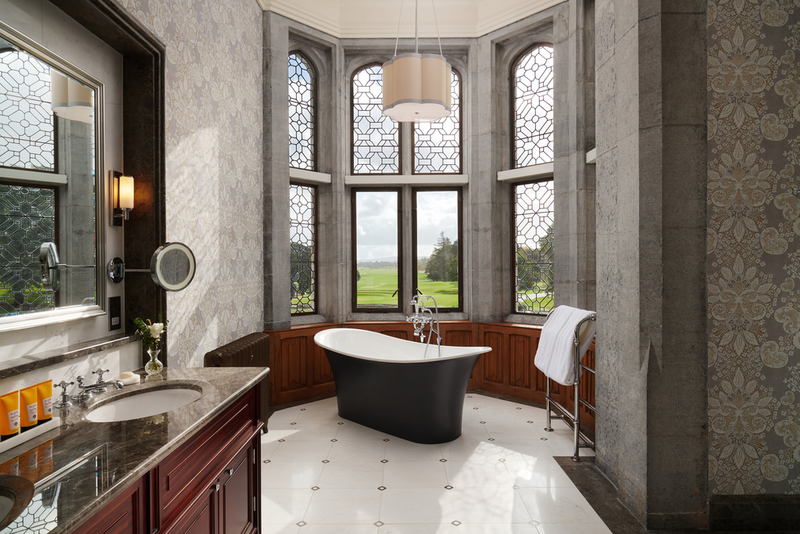 Set in 840 acres of grounds, Adare Manor has been the subject of an 18-month-long renovation—its most extensive in 25 years. 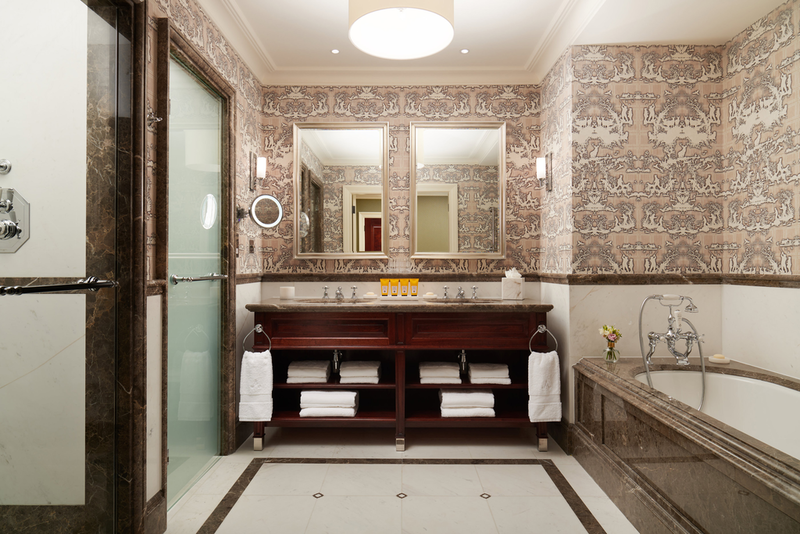 40 new bedrooms have been added to this 19th century Gothic masterpiece as well as a host of new facilities; including a swimming pool, boardroom, cinema, spa and 350-capacity ballroom. 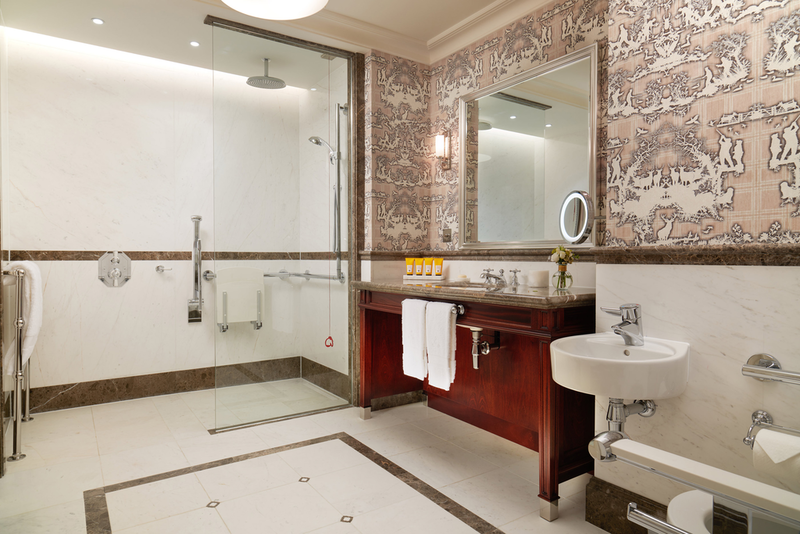 Stone was extensively specified as part of the project. 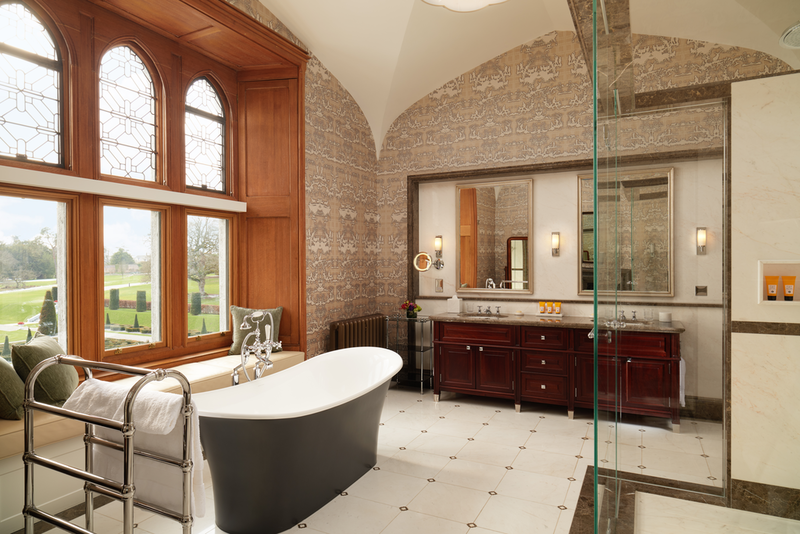 Schlüter-Systems was initially engaged to provide a waterproofing solution for Adare Manor, but was eventually able to assist on a greater scale. Through use of multi-functional products, Schlüter was able to put forward a single-source solution that reduced build-up from ten layers to six and saved 19mm of height, as well as eliminating the need for smoothing compound. The floor build-up was approved by lead architect, ReardonSmith, and main contractor, John Paul Construction. Underfloor heating, uncoupling and waterproofing provision was simplified from four layers to one, using the electric underfloor heating system, Schlüter®-DITRA-HEAT-E.
Schlüter®-DITRA-HEAT matting is only 5.5mm thick and was laid onto a 1mm bed of flexible adhesive, giving build-up of just 6.5mm. As opposed to needing a layer of encapsulation above it, the system features studded matting and the cable clips securely within it, avoiding the need for tape or adhesive and enabling even spacing. Schlüter assisted by exchanging the proposed matting of 10mm thickness for Schlüter®-DITRA-SOUND matting of only 3.5mm thickness, saving 65% of build-up for acoustic reduction measures. This matting offered the same dB rating and could be installed using a standard polymer modified adhesive. For areas of high moisture, waterproofing is an essential consideration and it takes on an even greater significance when it comes to preserving historic buildings—Adare Manor has stood for 185 years and the intent of the restoration is to see it through at least the same again. Schlüter’s complete waterproofing system for these areas consisted of Schlüter®-KERDI-200 waterproofing membrane, KERDI-KEBA sealing band and KERDI-COLL-L adhesive. These products work together to form a CE Marked waterproof solution that will stand the test of time. As well as the above solutions, Schlüter-Systems also provided its original uncoupling mat, Schlüter®-DITRA-25, for use under the flooring of Adare Manor’s new ballroom and its golf clubhouse and spa. The company is proud to have been specified on such a scale for this prestigious project.